and happily accepts all donations. Reservations can be made with a minimum donation of $75 for a half day and $100 for a full day. Those using the facility shall be responsible for cleaning before and after the event. 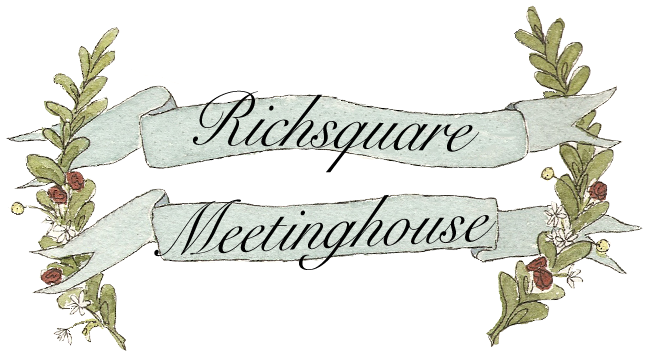 All donations go directly toward the preservation and upkeep of Richsquare Meetinghouse and it's grounds. will be a pitch-in dinner, so bring your favorite recipe to share!